From individual event sponsorship to global strategic partnership, there are many interesting opportunities to reach the festival’s remarkable audiences. We work with our partners to tailor and profile each sponsorship in the most effective ways, and to communicate the intent and impact of the relationships through branding, media campaign and client management at Hay. We treasure our sponsors and have won an unprecedented number of awards from Arts & Business over the last 30 years. Sponsors and partners work closely with the festival team to select, from the festival programme, speakers who fit well with a sponsors brand values. e.g. Nobel Series, British Council Series, Baillie Gifford International Writers Series, Woodland Trust Series. Work with the festival to develop projects for specific audiences or subject areas. Venue sponsorship gives very high brand awareness and intergration through programme listings, on site branding, ticketing and maps. e.g. Tata Tent, Baillie Gifford Stage, Good Energy Stage, Starlight Stage, Friends Café, Festival Bar, Food Hall, The Summer House, Compass. Reach the festival audiences in their seats with on screen advertising in performance venues. Price on application. A limited number of individual marquee units start from w3m x d6m and cost £6,500 + vat for the full eleven day duration of the festival. Other bespoke spaces are also available. Bonne Maman, Tetley Tea, Hannibal Brown Wines, Highland Park, Fullers, Alpro Soya, Google, Eat Natural, Davidstow. Serious Readers, The TLS, International New York Times, Woodland Trust, Prospect Magazine, Greenpeace AGA, iBooks, Good Energy, London Library, National Trust. 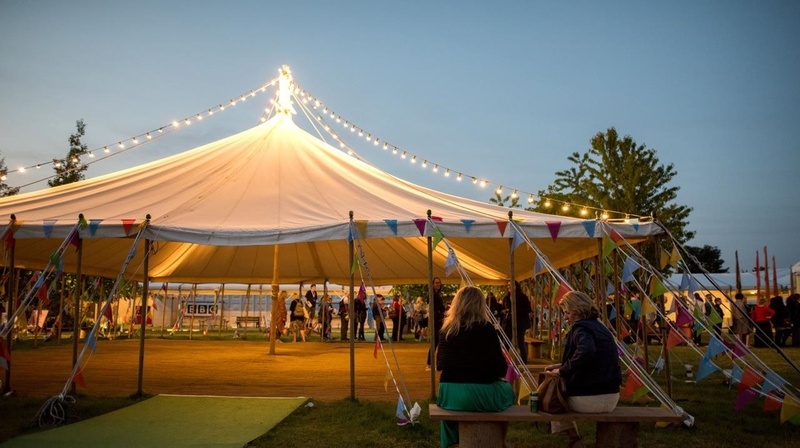 For more information on becoming a sponsor please contact maggie@hayfestival.org or jo@hayfestival.org.